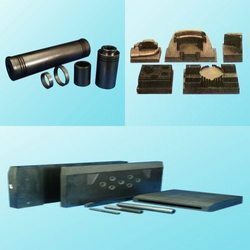 Prominent & Leading Manufacturer from Ahmedabad, we offer graphite dies. We are manufacturer and exporter of a wide range of Graphite Dies. These offered products are manufactured using supreme quality basic material along with latest machinery. Our range is ideal for vertical and horizontal continuous casting of precious metals and all their alloys. We provide these dies to our clients in both standard and customized options as per our clients various specifications.